I love the sound of rain! It’s is the ultimate motivator for me. Studying, memorizing, and cooking—not to mention cuddling and watching movies—all becomes much easier with a little pitter-patter on the roof! It reminds me of home. Now you can take the rain with you everywhere you go! I'm going to steal like an artist. “Well,” I thought to myself, “I journal quite a bit in my black Moleskine notebook as it is, and that’s just for me. I don’t need to share all THAT with the interwebs. I stopped the emotional livejournal posts years ago… and moved on to quoting Joni Mitchell lyrics in moody Facebook statuses (those were dark times), so I won’t be sharing my private life here so much as I’ll be sharing my personal interests—the words, images, and videos I enjoy—as a vehicle to explore and create a virtual scrapbook for my artistic musings. Recently, I read the book “Steal Like and Artist.” It’s an exploration of how we can use the work of people we admire to inspire ourselves and enhance our own work. The author/illustrator, Austin Kleon*, describes it as his ”manifesto for creativity in the digital age.” Reading this short and sweet book inspired me to create this digital “swipe file” and share my interests with fellow friends and artists. 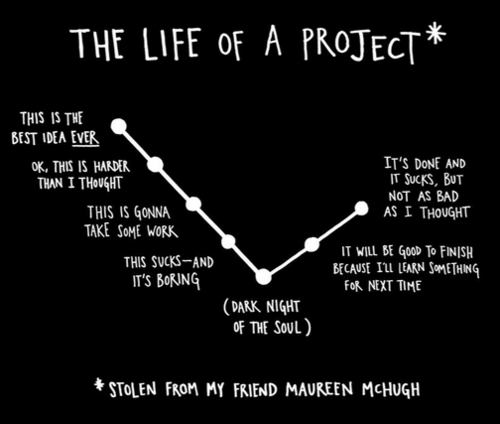 *If you get a chance, take a look at Austin Kleon’s website and find out more about the work he is creating!